A couple a weeks ago a few of us south London based Sluts descended on Kat's house for dinner. The evening proceeded very much as you might think it would: we played with the downstairs cat, we spent a long time congratulating Kat on her excellent home decor, we ate a healthy main course followed by three desserts, and then we proceeded to try out a set of bright nail varnishes she'd been sent. 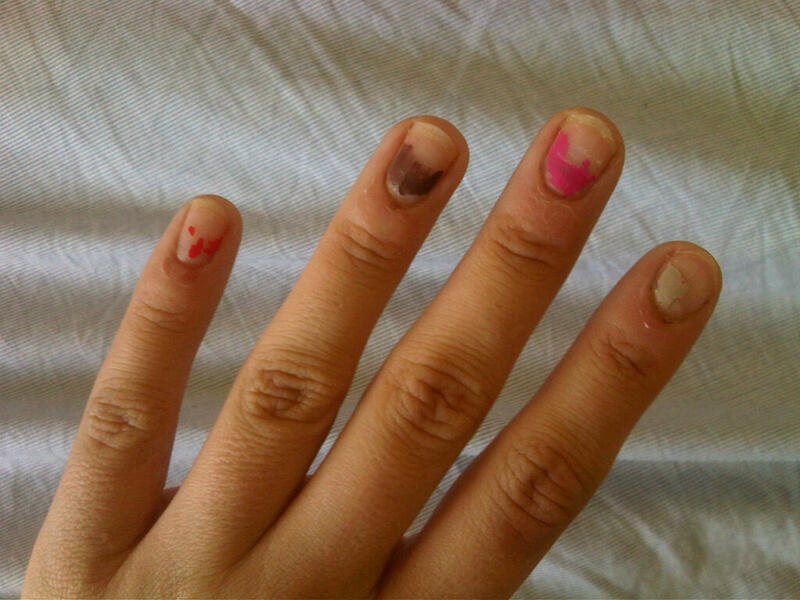 Here are my nails after said occasion (please don't judge my awful nail painting skills. I painted them by candlelight and, anyway, I clearly skipped my manicure brownie badge). 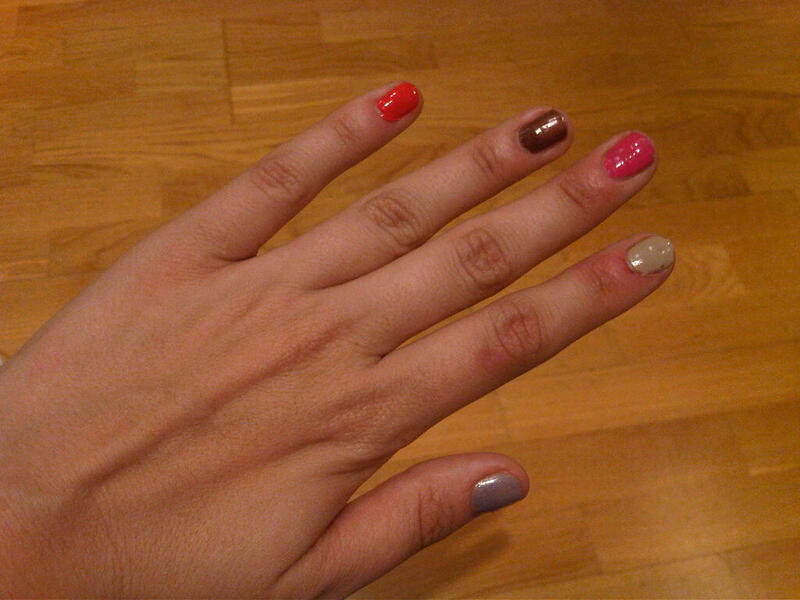 And here are my nails less than a week later (again please don't judge too harshly. I'm a biter and a picker and Kat's posh nail varnishes are too good for the likes of me). I like to think that things might have ended slightly happier for my nails if someone had given me the ice cream manicure set that's up at the top of this post. Coming in the shape of a colourful lolly, it might have encouraged me to keep my own sorbet-coloured nails in better condition. 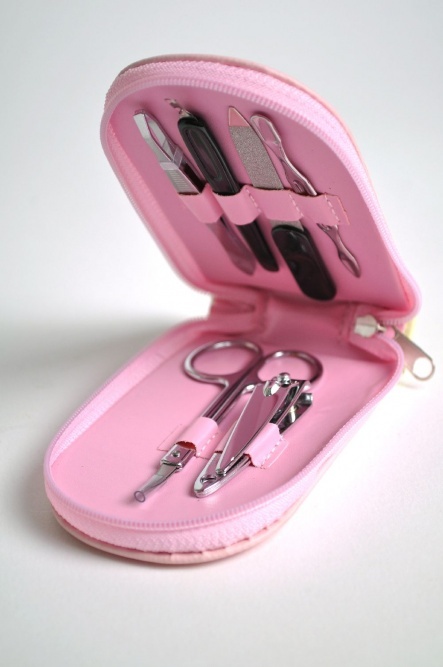 Each set contains nail file, nail clippers, nail scissors, tweezers, cuticle buffer and cuticle trimmer - if only I knew what to do with them all! Available in three different flavours colours, they cost just £6.95 each from The Hambledon, making them a perfect gift for nail no-hopers like myself. And leaving you with plenty of pennies left over to buy some real ice cream. That's an adorable little set. I want it even though I own most of the contents already. I would definitely be less inclined to destroy my nails if I had one of those!! I'd like to think so! 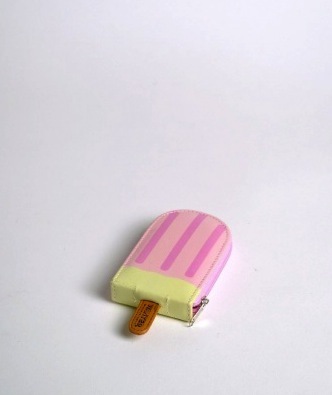 Take a look at the other two lolly designs - they are really cute too.